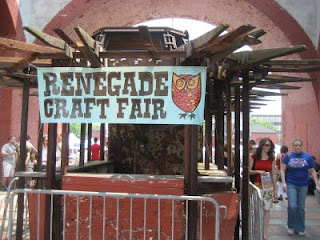 This was our third year at the Renegade Craft Fair in Brooklyn NY. This show keeps getting better and better. The crafts are fantastic and there are crowds all weekend long. 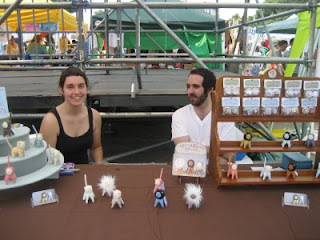 We saw some of our local crafting friends there too. Magpie Store was there and so was Fern Animals. 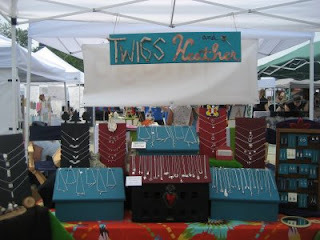 Some of our favorite twig necklaces found happy homes and a lot of seaglass did too. The Renegade is great also because we get repeat customers that come just to buy another piece from our collection each year. It still makes us so happy when someone tells us that they came just to see our work. 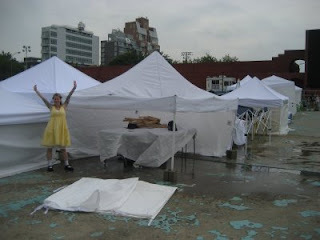 Even though thunderstorms ruined many tents, day two was just as successful. We were so relieved when we got there and our tent was still standing and the things we left behind were ok too. Another reason we love this show so much is the sense of community there. We see many of these crafters show after show, year after year. Everyone is so helpful and friendly and it is really nice to have some friend around when you are away from home. But it's good to be back in good ol' Boston. Our next few shows will be in our hood. 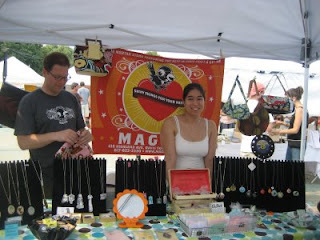 The Boston Handmade Market on June 28th, a new one for us. And another favorite, ArtBeat on July 19th. Both are in Somerville. See you there.